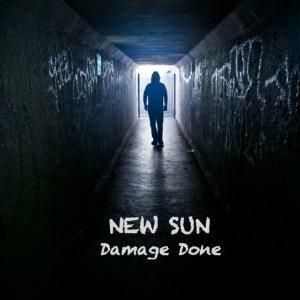 New Sun is a band that I'm aware for some time now, knowing 2 of their albums Affects from 1998 and Expectations from 2001, both being quite good heavy prog albums to me. In 2002 the band went in to a hiatus who lasted until 2010 when the band begun to work for a new album and aswell a new member appear in the line up Chris Elio responsable for vocal department. Well, the music from the new album named Damage done, isued in may 2012, their forth album is no better then previous releases but is no worst either. The heavy prog offered has some intresting passages, is well balanced between heaviness of the guitar and melodic lines, the perfect examples are pieces like Shard In The Sand or Miscreants , aswell Dreams worth mentioned for some horns addition in the mix, working quite well in the end in the heavy prog atmosphere. So, not a big album or excellent, but is decent most of the time, I remain to Affects and Expectations to be their most acomplished works so far, at least to me. 3 stars, I'm curious in what direction they will take with the new album.